Chicago Maroon: At what age did you begin swimming? Jen Law: I started swimming competitively at age seven, but my dad, who was a swimmer, too, taught me how to swim when I was really little. CM: When did you realize you’d swim in college? Was that always your plan? JL: I knew I’d swim in college well before I even started to look at schools. Swimming has been such a huge part of my life, and I knew I wanted to swim wherever I decided to go... 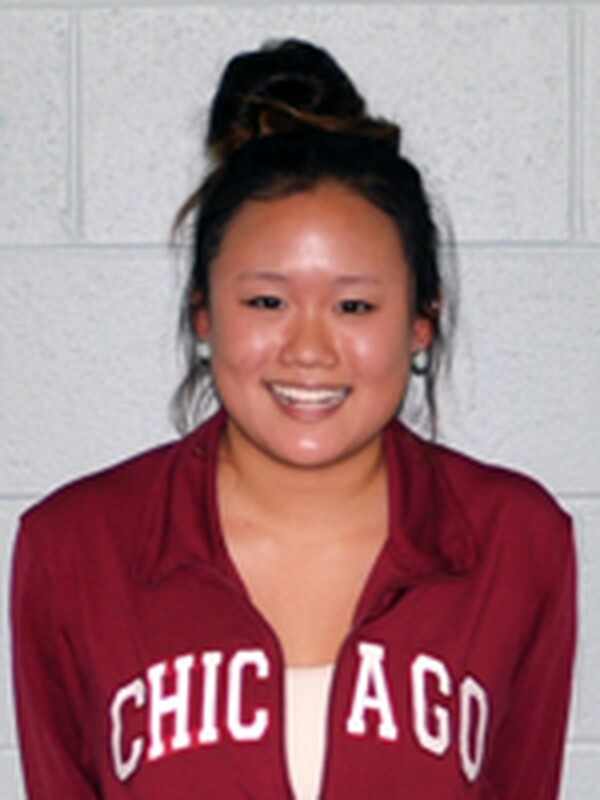 I was recruited to swim for the University of Chicago. CM: What’s the biggest difference between swimming in high school and in college? JL: Swimming in college is more specialized than high school. That is, it is more geared towards your specific event, in my case sprint fly, back, and I.M. [individual medley]. High school was more generalized and everyone did the same workout and had the same taper. CM: What’s your favorite story about the swim team? JL: To be honest, there are too many ridiculous swim team stories to pick just one. But when you spend that much time together, you see your teammates at their best and at their worst, but no matter what, we are a family and support each other through everything. CM: What’s something about swimming as a sport, competitively, that someone who doesn’t swim at that level would never be able to guess? JL: It’s funny because sometimes people joke about how swimming isn’t a real sport, but swimmers know how much dedication is required and how much strength, both physical and mental, it takes to be a college swimmer, especially at a school like this. I mean, at 6 a.m. most of the school is asleep, but the swim team is already at practice, so that takes a lot of dedication! CM: What’s your best advice on avoiding hair icicles walking home from winter practice? JL: Well, after swim practice everyone is usually starving so we don’t bother to dry our hair. We just deal with icicle hair or wear hats!